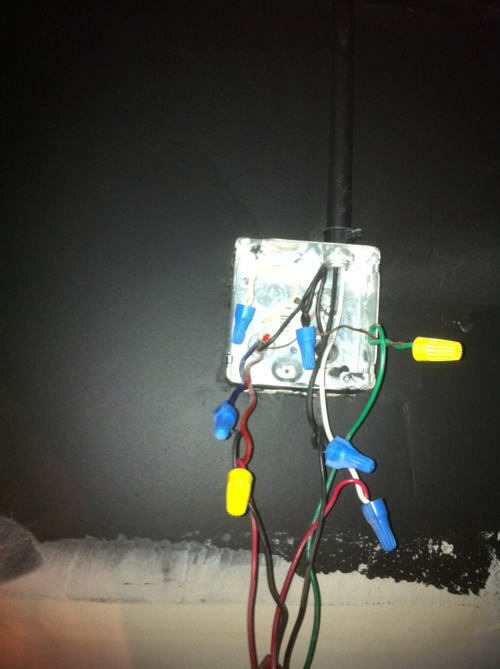 The Fire Technicians Network - Burning Brick Award Nomination - Mircom Technologies Botched Fire Alarm Verifications in Langley, B. C.
MIRCOM TECHNOLOGIES - BOTCHED MULTIPLE VERIFICATIONS (IN LANGLEY, BC)! The ADT Communicator From Hell featured what I termed at the time a picture worth a thousand words. Well folks, Mircom's Vancouver based technicians quite amazingly have surpassed that. Here are some pictures I can only say are proof positive that Mr. Murphy had five equally dumb brothers. 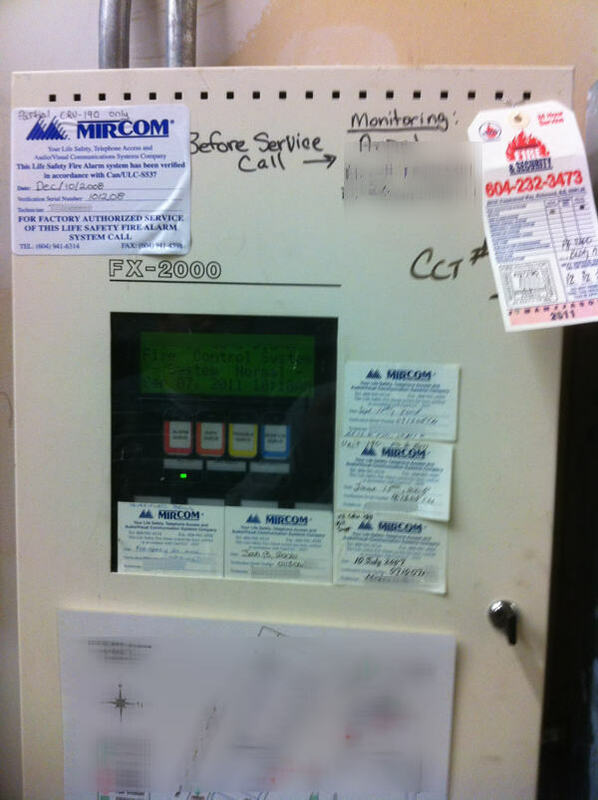 This is an FX-2000 system in Langley, B. C. You'll notice that there are six (count 'em - SIX) verification labels on this panel (five of which are signed by different Mircom trained technicians). What I said in THIS Burning Brick Nomination, goes double here. One of the first things I check for in a control panel (I don't know about you guys), is to ensure everything's terminated properly (i.e. GROUND, hot, neutrals)... Extra transformer... Say what???!! 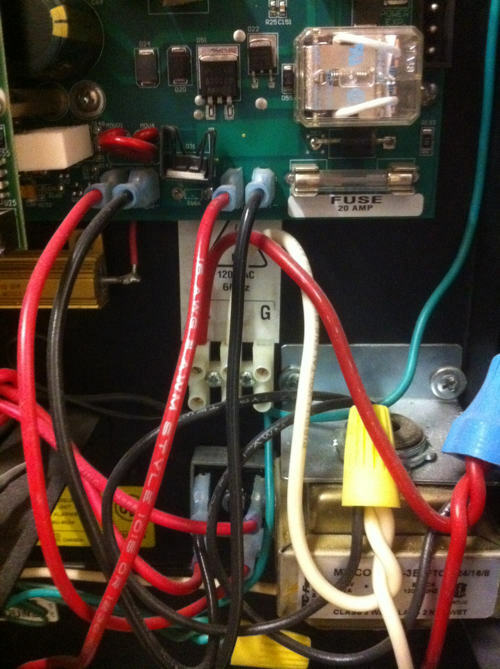 And what's with the AC input (the red and white wire pair coming in at the lower right)? The next thing that sort of drew my eye was where they routed the secondary (non-power limited) output cable for the annunciator heater. Oh... Here it is! The black and white wire pair coming from the lower left of the picture is our 24VAC from the heater transformer secondary. It's run in the same pipe as the system's SLC (Data Communications Loop)! The second set of black and white wire pairs is the signal circuit (NAC). Notice something missing? How about a GROUND WIRE?! So here we have a Mircom FX-2000 verified by not more than FIVE independent, factory trained Mircom techs, and they ALL got it WRONG! 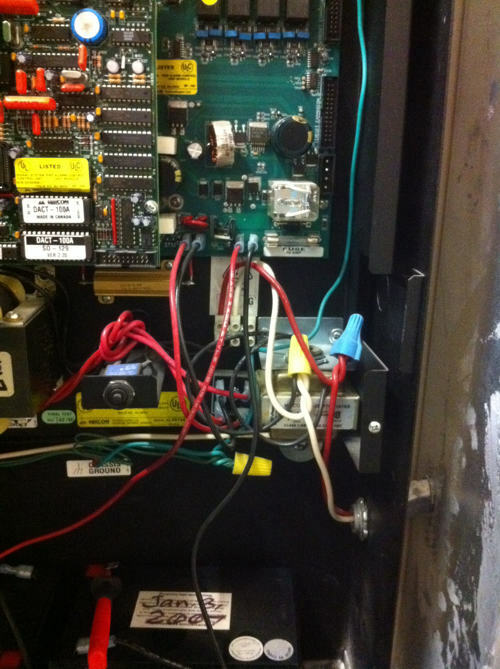 This next picture is of a bell back-box in a unit that was also previously verified by Mircom. Notice the cable entry at the upper right? There's our black and white wire pair from the common control. 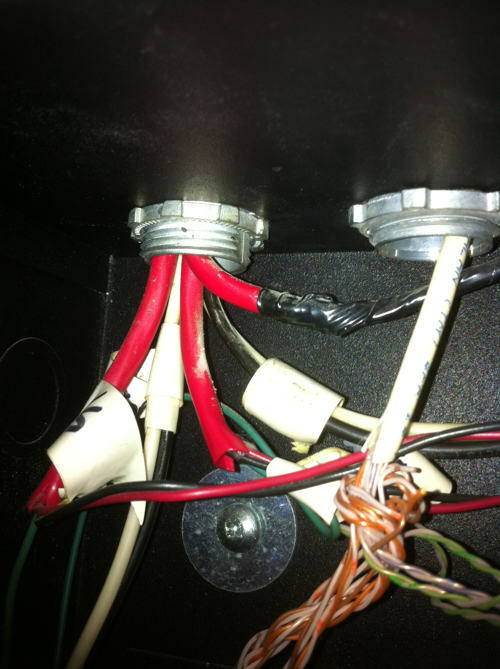 The ground wire that's in this box is from a four conductor BX that goes to the bell in the adjacent suite. There is NO bonding conductor from the common control terminated in this box! The Mircom technicians involved in this fiasco should all be relegated to the role of "button pushers", but that would leave no one to actually perform the testing. Maybe that's not such a bad thing. Mircom (Vancouver) can add another Brick to their wall.